As the holiday gift buying season fades behind us we already know that Amazon had yet another banner sales period. We won’t know the final numbers until they report earnings in a few weeks but you can read some of the publishing highlights in my Friday post here. What does this mean for 2014? In case you missed it Amazon is not only the largest online retailer in the world but Amazon.com is also the first place people turn when looking for any product, not just books. According to Forrester research findings from mid-2012 more than 30% of all product searches begin at Amazon.com compared to 13% for Google. Compare these numbers with those just two years earlier when Google had 24% of the retail product searches and Amazon “only” 18%. As we head into 2014 it is clear that publishers need to spend more time thinking about how to optimize their book’s metadata—the book’s descriptive information—more effectively. In this post I’m going to talk about the key metadata data elements that relate to SEO, or search engine optimization, on Amazon. 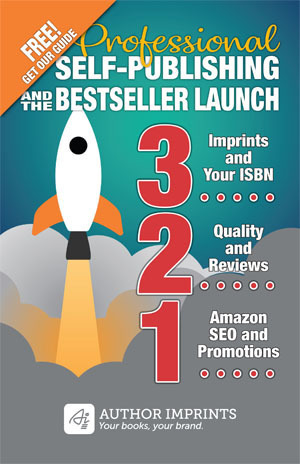 Specifically, those elements that can be managed through Kindle Direct Publishing (KDP). I’ll cover the tools, techniques and related topics in a future post and I’ll spend more time on each of these 7 metadata elements. These are by no means the only metadata elements for a book but they are the most important ones when it comes to helping the Amazon.com search engine find your book. You have complete control over this so make the best of it. Series title (if any): try searching for Reader Shorts in the Kindle store on Amazon and you’ll find our client’s short true crime story at position 15 (The Death of Judy Huscher). It may not stay there because the order shifts depending on sales rankings but it illustrates the value of using this field, assuming of course that you have a legitimate book series. If not, skip it. Publisher name: it says optional but add your name here if you don’t have a formal publishing company name. Contributor(s): in addition to your name you should be sure to list anyone else directly involved with writing the book. One of our clients was fortunate enough to have Steven Pressfield write the foreword to her book The Golf Letters. As a result, a search for Steven Pressfield also shows her book. Description: not only is the description indexed for search purposes but the order in which keywords appear in the description is also important. This will be a topic for a future post. Keywords: Amazon allows you to enter 7 words or phrases separated by commas. As I said I’ll cover each of these as they relate to SEO for books in future posts including the tools or techniques needed to select terms that maximize your book’s visibility. This was helpful, I used keywords from zon sidekick to help rewrite my metadata with this advice in mind and my book sales tripled this month. Contributors was a really good tip. What is “zon sidekick” Rebecca?